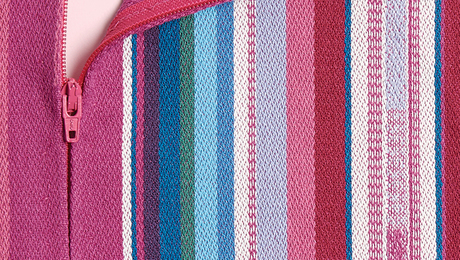 Knit panels enhance the fit and feel of woven garments. 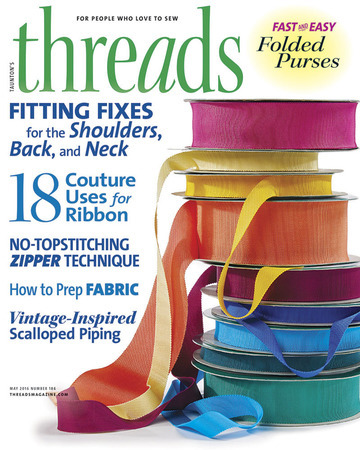 A blind-hem stitch replaces traditional topstitching so a centered zipper becomes nearly invisible. Cassie Stephens' colorful outfits are inspired by famous works of art. 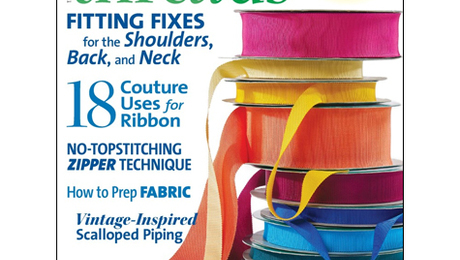 Learn 18 ways to use this couture mainstay in your sewing. 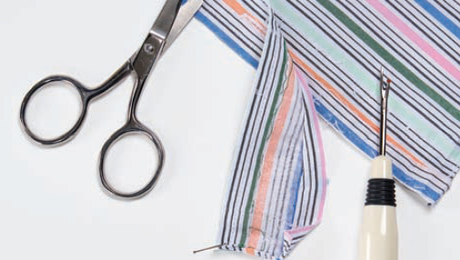 Tools, techniques, and seams for great results. 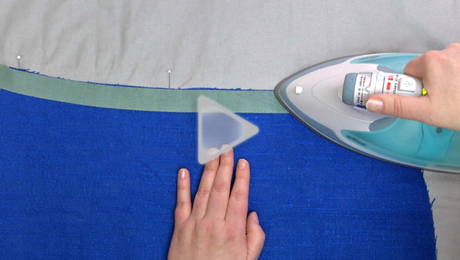 This first step in fabric preparation ensures garments that look better and feel more comfortable. 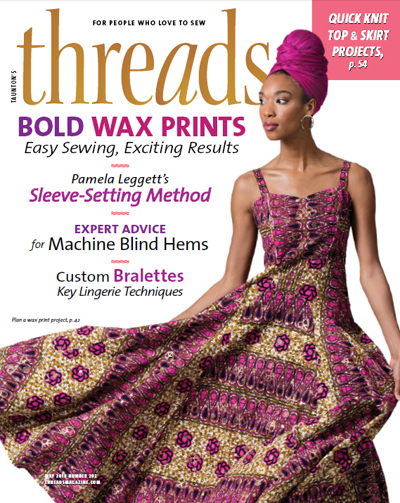 Here's what you can expect to find in the May 2016 issue of THREADS. Make all-purpose pouches with fabric squares and straight seams. 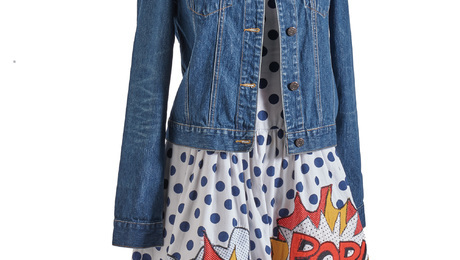 An outfit with a reversible jacket brims with inspiring details. 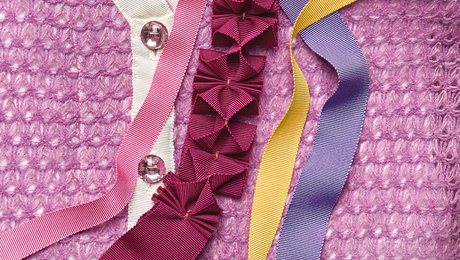 Cheap garments from thrift stores can help you when a detail seems out of your grasp. 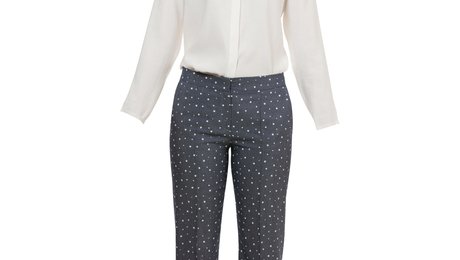 This semifitted trouser or short sits 2 inches below the waist, has a flattering, curved waistband, a fly zipper, side-front pockets, back waist darts, and narrow legs. 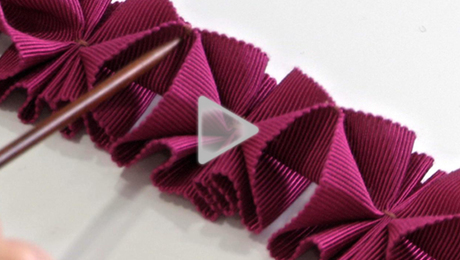 Watch to learn how to create a beautiful pleated trim from petersham ribbon. 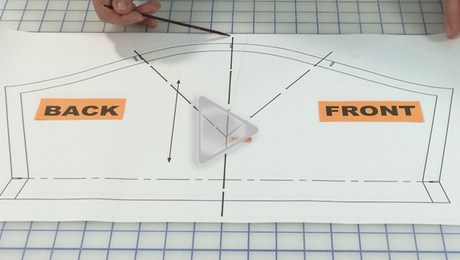 Learn how easy it is to make petersham follow a curve. 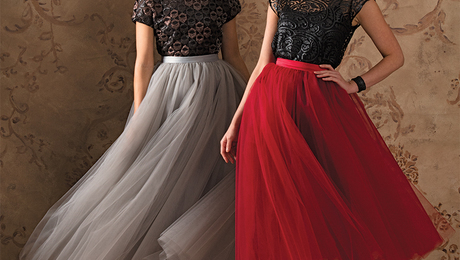 It is a great way to stabilize curved necklines, hems, and waistlines. 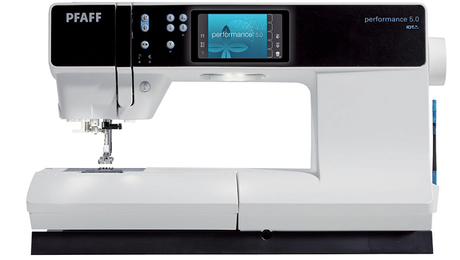 Take a look at nine of the latest sewing machine models to hit the market. If you're interested in sewing leather bags, you'll benefit from knowing what the pros recommend you use. 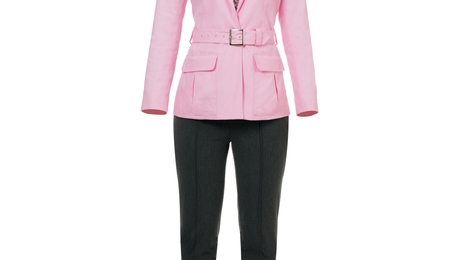 Discover most of the details found in a traditional tailored blazer on a stylish jacket pattern from Mimi G Style for Simplicity. 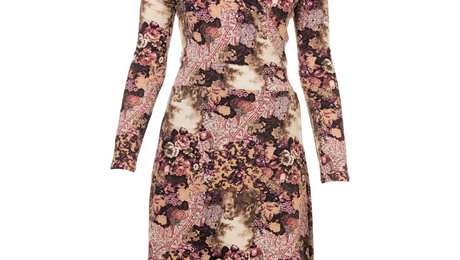 Great for any season, this wrap dress with V-neckline has front and back curved yokes with strategically placed gathers. 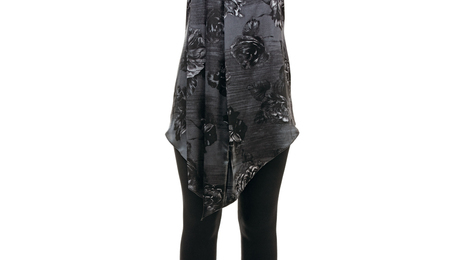 These loose-fitting pullover tops have scoop necklines finished with narrow bias binding, a left side bust dart, and focal pleats on the right front. 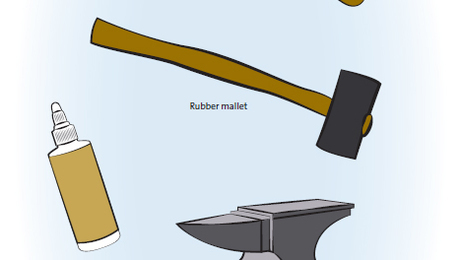 A pro’s guide to creating full and floaty looks. 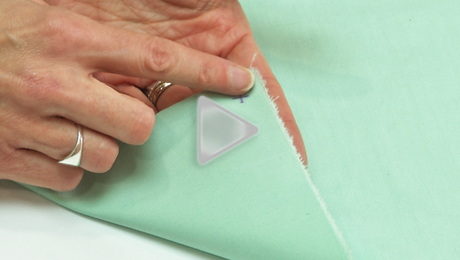 Watch to learn an expert's method for fitting a sleeve.